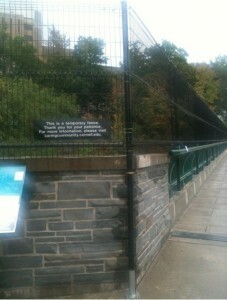 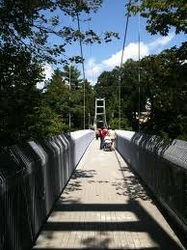 The first and third pictures show what the Suspension Bridge looked like from March until September 2010. The center picture is what the Suspension used to look like before the fences were erected. 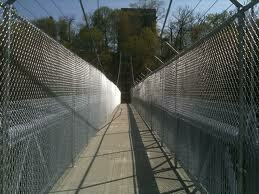 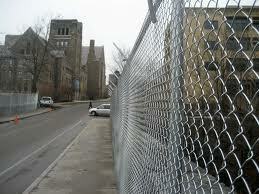 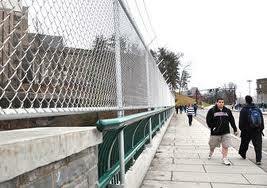 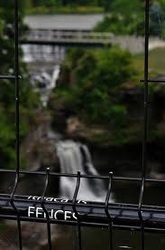 These are pictures of the fences on the College Avenue Bridge and the city-owned Thurston Avenue Bridge. 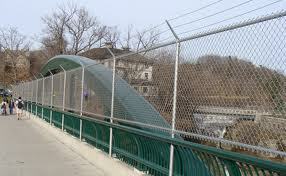 The first two pictures in the last row are pictures of the initial chain link fence on the Thurston Avenue Bridge. 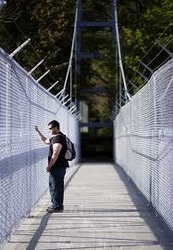 The third is of the new semi-permanent fence on the Thurston Avenue Bridge that will be in place at least until May 31, 2011.